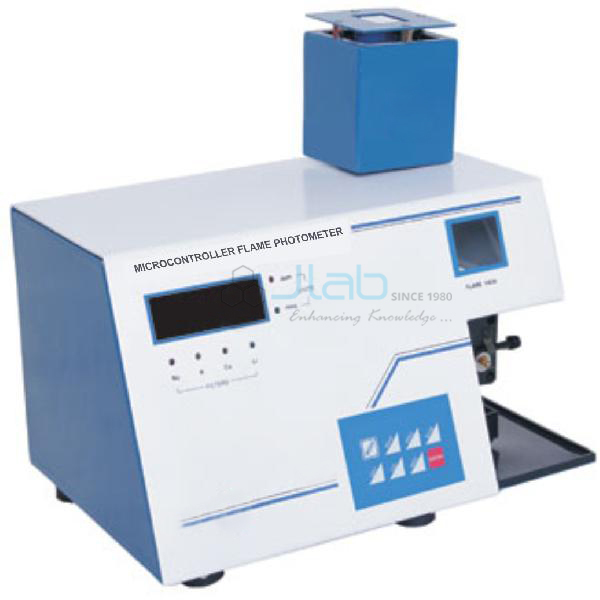 Jlab are manufacturer, Supplier and Exporters of Flame Photometer from India. The Flame Photometers offered by the corporate are high on quality, performance and are made of the best quality raw materials, creating them durable and long lasting. Flame-photometers are used for determination of Sodium, Potassium, Lithium and Calcium in blood and soil samples. Flame Photometer Manufacturer, Flame Photometer Suppliers, Flame Photometer Exporter, Analytical Research Equipments, Flame Photometer India, Analytical Equipments, Research Equipments India.